Creative sites. The easy way. Use Placeport to create the website of your dreams. 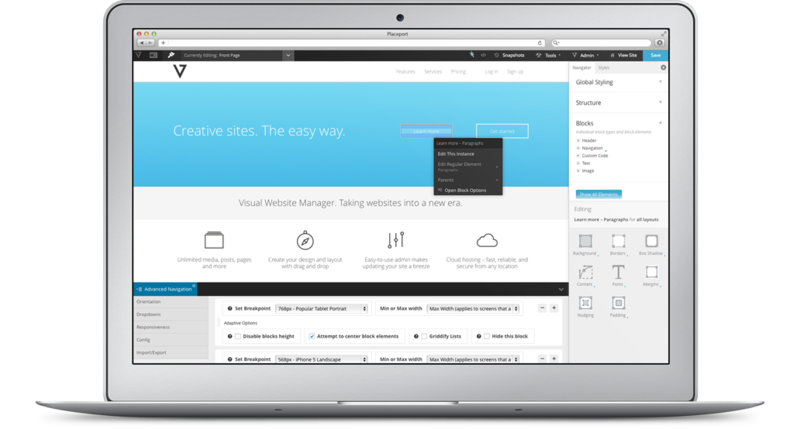 Placeport is a full service web solution that handles everything from the initial wireframe to a fully functioning website. Your website will be easy to use, incredibly powerful, and easy to update.